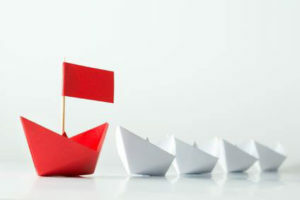 Many salespeople believe the key to winning more sales opportunities requires skillful prospect qualification, early identification of the economic decision maker, and full understanding of the need or the reason to buy. Makes sense? In a salesperson’s world, one reason they find selling so enjoyable is the opportunity to help prospects solve problems or produce better results. As professional salespeople, we strive for that final commitment and final signature, so we can build a long-term relationship. Conversely, situations occur when salespeople would do themselves a favor by declining to work with a new prospect. And this is the most difficult decision for any sales professional. How do you know at what point is it reasonable to cut a prospect loose and walk away? 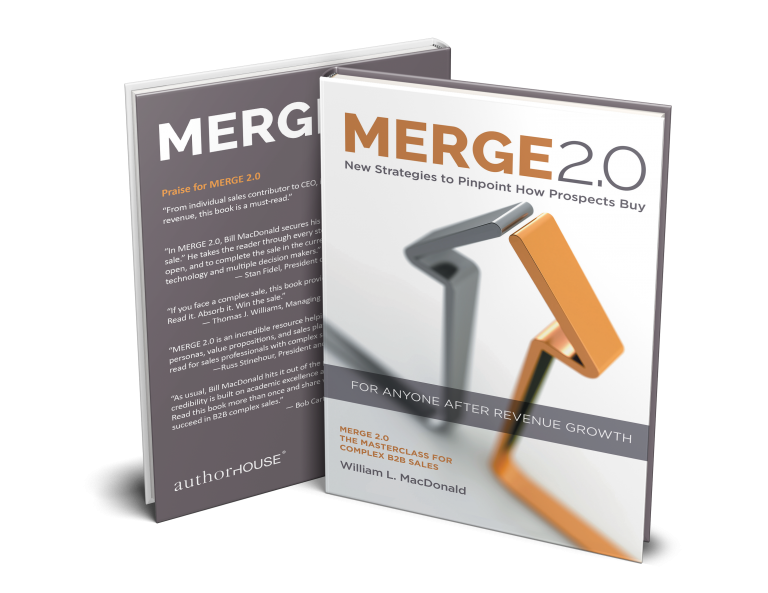 In my latest book, MERGE 2.0, I lay out how to organize an effective meeting plan, called POINT A. The “A” is action commitment. Every interaction with a prospect should lead to an action commitment by him or her, not you. This action offers a specific time and requires the prospect to do something. If the prospect says no to meeting again, it is a sure sign there is no interest. Or, if you asked the prospect to send you information to analyze by next Tuesday and he doesn’t, that’s a red flag signaling no interest. Why burn up company resources chasing a prospect who may never buy? Often, price is a factor in a ready-to-buy prospect. However, your solution to help the prospect solve a problem goes far beyond price. In my experience, prospects who ask about price early on may have already decided to buy from someone else. In MERGE 2.0, I discuss the three phases of decision making, according to research done by Dr. J.P. Guilford, noted UCLA psychologist. A price-centered prospect resides mentally in convergent thinking, where he’s already zeroing in on the final solution, the third stage in decision making. Already, another salesperson has invested time to help the prospect shape a vision for a solution, which takes place in the first phase of cognition thinking. That salesperson would have also taken the prospect through divergent thinking, the second phase, to examine alternatives. So now, the prospect has selected a solution and is focused solely on numbers. The result? A prospect who does not appreciate the expert, high-touch, proven and individualized service you offer. He may not want to revisit alternatives. And if you can’t return his thinking to examining alternatives (divergent thinking) or to reshaping a vision for a solution (convergent thinking), it is time to walk away. An exception to this premise arises if you’ve decided to play the RFP game—when you are already behind. You can deliver the perfect solution, engage in productive dialogue and questioning, and still end up with no sale. Few situations are more frustrating than a prospect suddenly going silent, failing to return phone calls, emails, and essentially disappearing. Many reasonable explanations may account for the silence, so don’t jump to the most cynical conclusion. Of course, if a prospect is ready to make the purchase, he or she should have the courtesy to notify you of a sudden change of direction. In. An. Ideal. World. Whether budgetary or personnel challenges prompt silence, the serious prospect if they want your product or service and value your partnership, will keep you in the loop and allow you the opportunity to make changes to meet any revised specs; that is, if he wants your product or service, and values your partnership. If you haven’t heard anything for weeks, the sale will most likely never happen, which is why it is so important to establish a champion or coach within the organization. He or she becomes your early warning signal, giving you the chance to regroup. If the prospect is silent long enough, decide to walk away. To determine if your product or service is the right fit for a prospect, engage in a dialogue to shape a vision for a solution and discuss how to fix the problem. Obviously, you need the right information to assess the needs of the prospect. Equally important, the prospect needs the right information, and encouragement to ask questions, to ensure your solution is the right fit for him. If you are dealing with passive listeners who do not pose questions of their own, most likely they are either unclear about their needs, haven’t secured the necessary budget, are simply “shopping around,” or they do not consider your engagement a true priority. What’s more, no complex B2B decision happens with one person. If you have identified other decision makers, and your contact refuses to bring them into the dialogue, you may want to insist it at this point. Or walk away. Prospects with no urgency and little vision confound salespeople daily, especially those with strong activity but no results. They may have deals in the sales funnel. However, there’s always a reason why the prospect doesn’t buy, and the closing date continues to push out. This conundrum happens early in the sales process when the need is uncovered, and the salesperson moves into her sales process. She identifies a need, shows the economics of change, and then demonstrates how her solution fits. 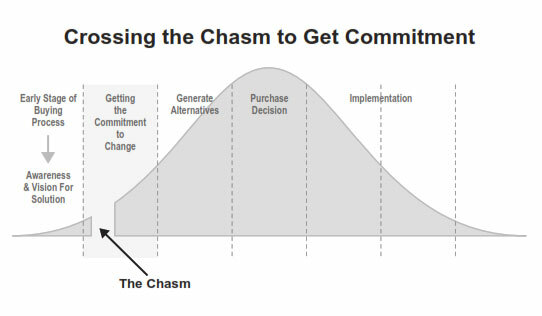 In MERGE 2.0, I call this most important stage of the sales process to “fix or not fix” or “crossing the chasm.” If the prospect cannot answer one basic, essential question at this stage, the prospect is not serious about making a decision. The question: “Do you want to fix the problem and do it now?” If the prospect doesn’t commit here, please do not waste your time going forward. Instead, consider walking away. Here’s a graphic representation of this moment of truth. As a sales professional, your time and expertise carry immense value. Although we are all trained to focus on closing the sale, you want to accept that some prospects may never become qualified prospects, despite our conviction that our product or service is the perfect solution. Prospects who can articulate their vision for a solution, and are willing to engage in a partnership throughout the selling process, will not only appreciate your suggested solutions and respond to your insights, inevitably they will help you reach your goal of making the sale. Learn to spot the red flags.